15 hands - 1,150 lbs. 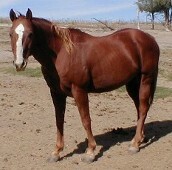 Wanted was quick, cowy, had a wonderful disposition, beautiful head, well muscled with good bone structure. 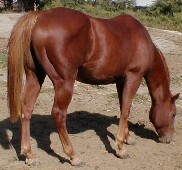 His breeding includes some of the best well known foundation horses. 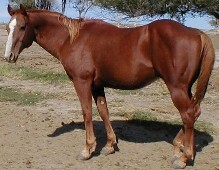 All of his foals are eager to please and learn quickly with excellent athletic ability. Wanted was found dead in his pen on 8-12-2011. I had owned him since he was a wild scared little weanling that I brought home and who captured my heart, he truly was a part of our family. All we have now are the memories he gave us over the short 18 years of his life. He will be missed.